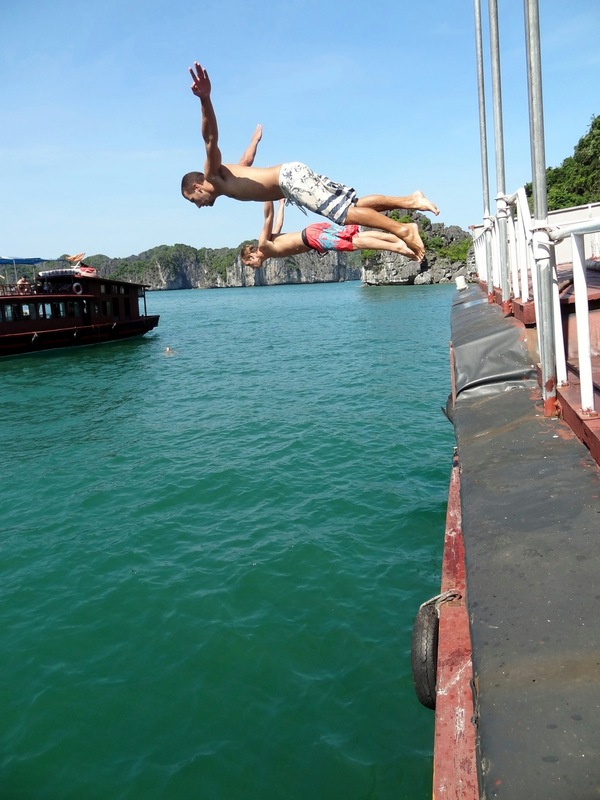 Ha Long Bay | Hello World! 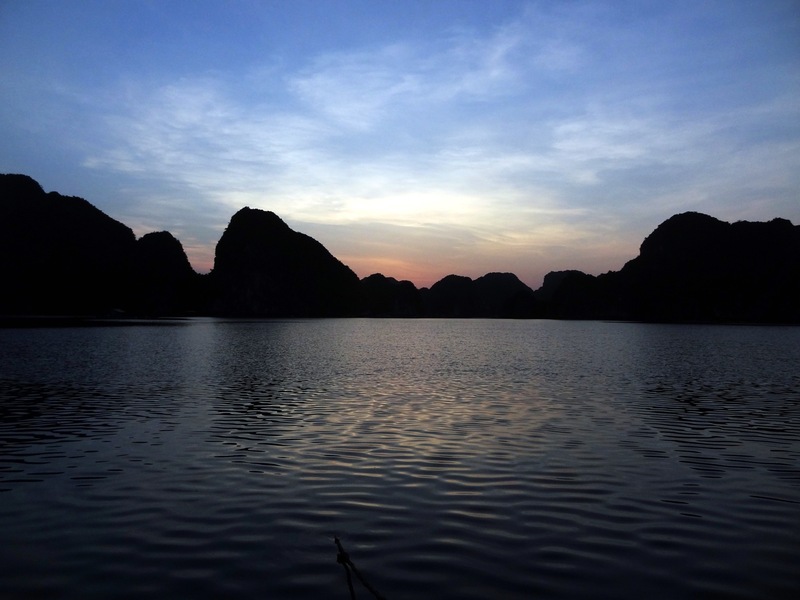 Ha Long Bay… one of the most famous landscape of Asia! 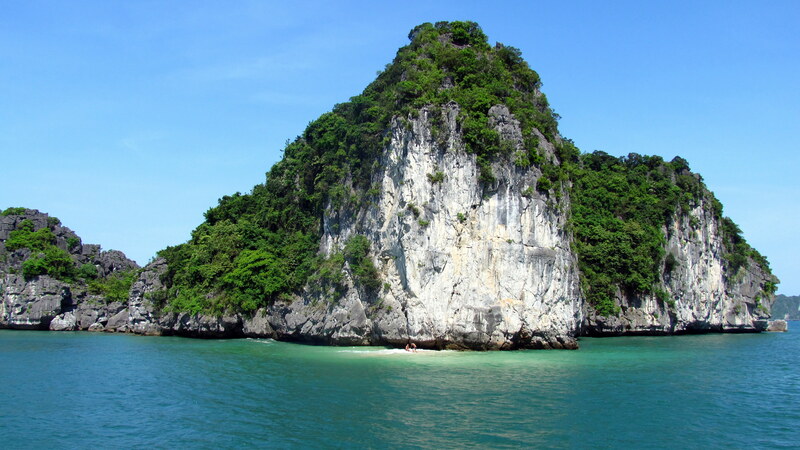 Located in the North of Vietnam, the bay regroups more than 2000 limestone islands. 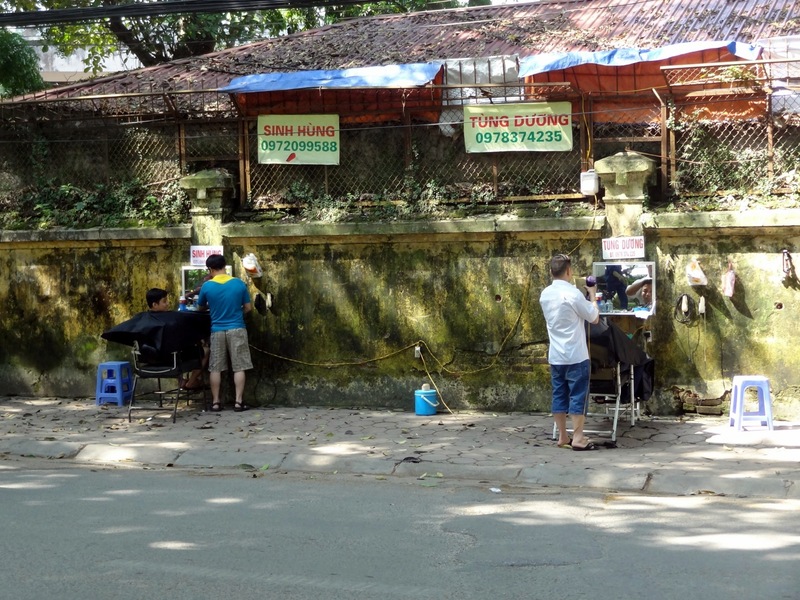 The legend says that dragons were sent by the gods to protect de Vietnamese against enemies. The dragons brought jewels and turned them into islands, linking together to form a great wall against invaders. 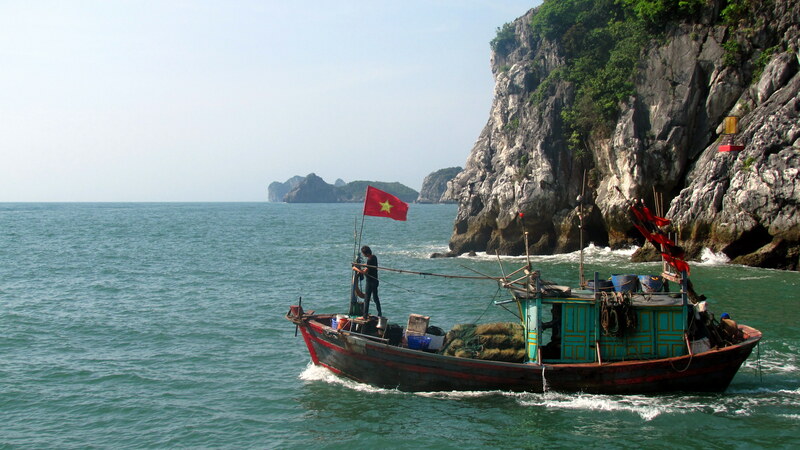 Unfortunately, Ha Long Bay is now full of tour boats: the Vietnamese are mainly interested in the economical value of the bay, rather than focusing on environmental issues. 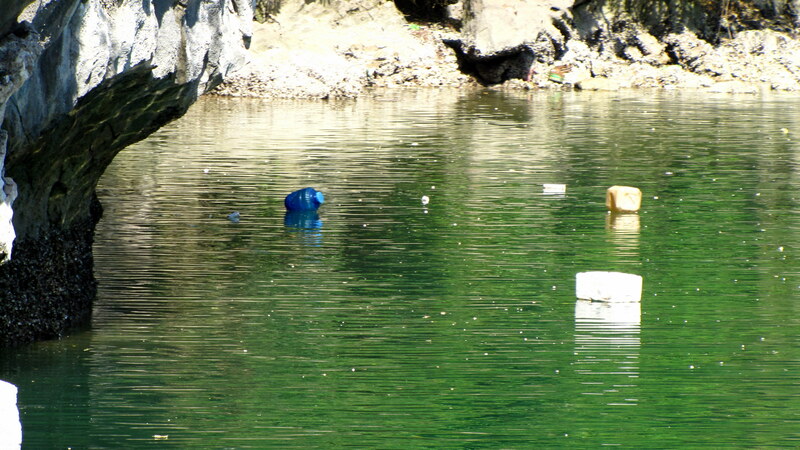 As a result of intense tourist flows, the bay can sometimes look like a big garbage dump. 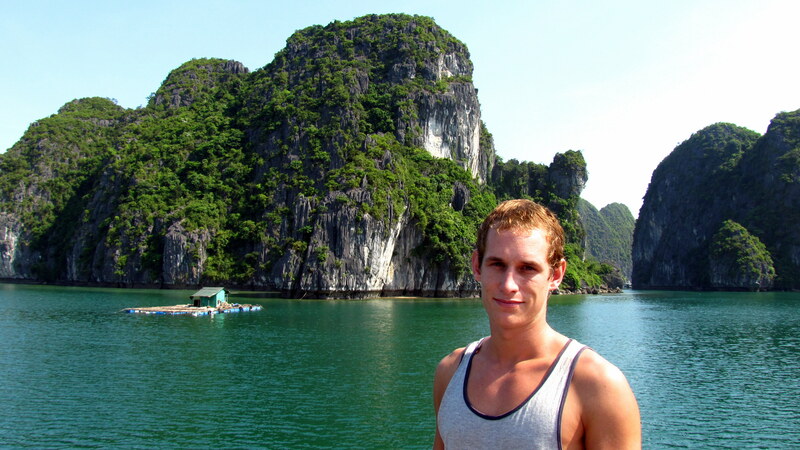 We decided to start our adventure in the south, on Cat Ba Island, way calmer and less touristic than the center of the bay. 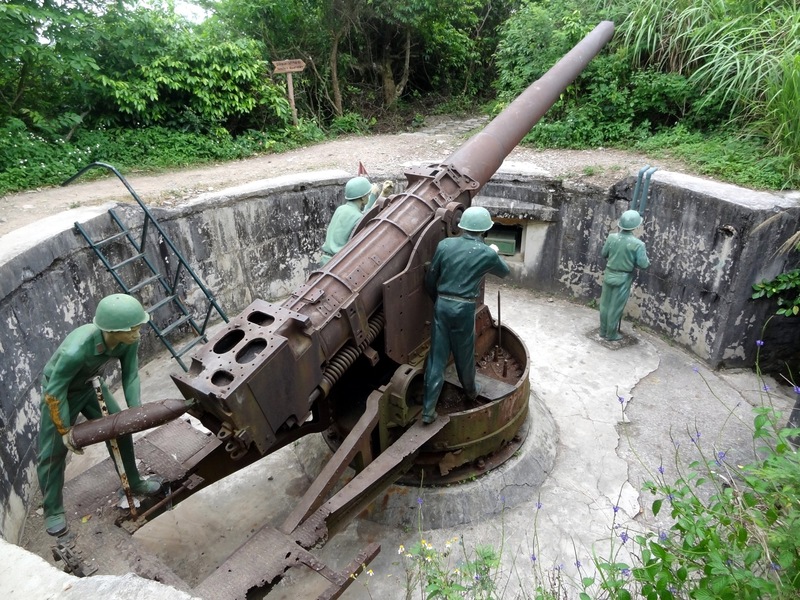 Cat Ba was used as a military position during the Vietnam War but is now slowly morphing into a good starting point to visit the nearby Lan Ha Bay, Ha Long Bay’s twin sister. 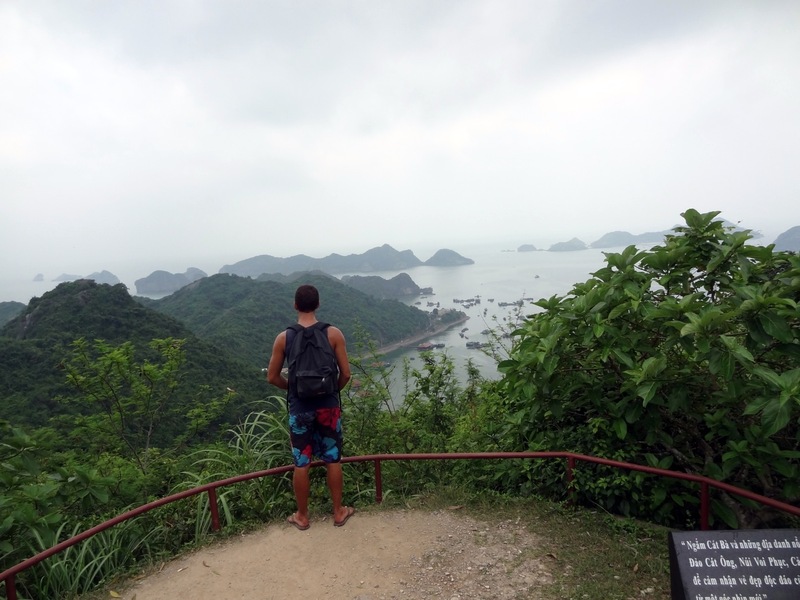 Han La Bay on a cloudy day… 360° view! 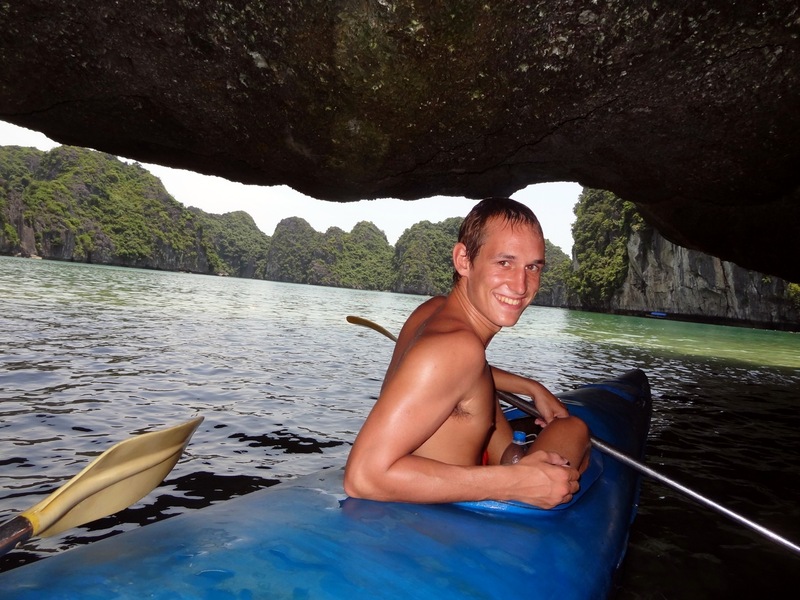 After exploring the island, we took a 2 days/1 night boat tour on the bay. 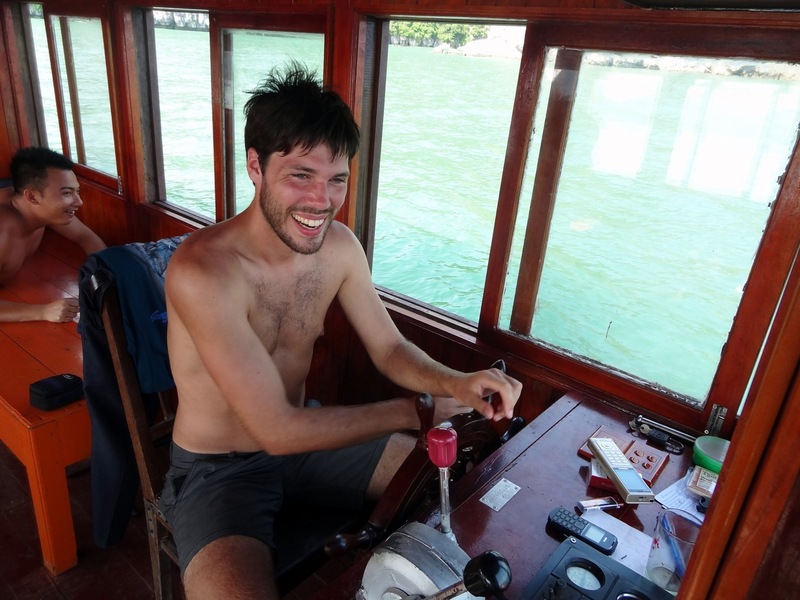 We slept on the boat in the middle of the bay, just the three of us! 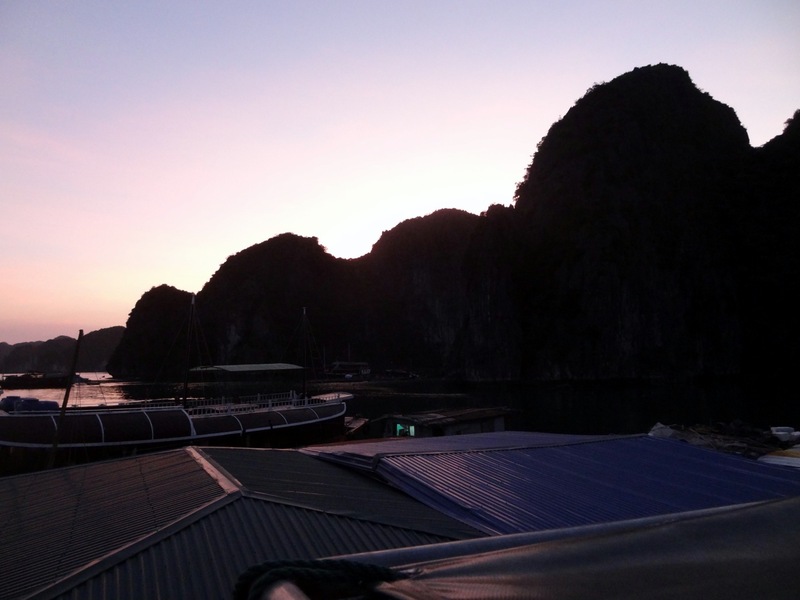 The boat’s captain brought us to incredible places (caves, tunnels, natural pools, private beaches…) in Ha long Bay and Lan Ha Bay and cooked for us during the trip! 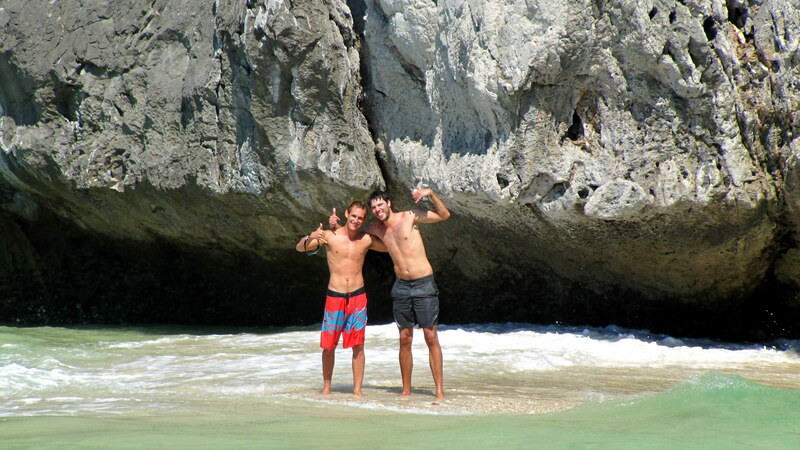 Chilling on our private boat! And taking it over from Vietnam! … And an incredible sunrise! Next and last stop of Vietnam, Hanoi!